Skylark Blog: How can Mediation help divorcing parents with Snow Days? How can Mediation help divorcing parents with Snow Days? Snow days are one of the most exciting events when you're a child, especially if it means a reprieve from an upcoming test or homework due date. But for parents, snow days are a significant inconvenience including last-minute schedule changes and all the fun involved in snow removal. In addition, many employers will expect you to "work from home" but that is easier said than done when you have young children (as I write this I'm being asked by a three year-old why she can't have candy for breakfast). As with many issues separated parenting exacerbates many of these inconveniences. For separated parents, a snow day means additional questions such as which parent is in charge and who is responsible for snow removal at a shared property. For parents who have chosen litigation to resolve their divorce, these disagreements could mean additional attorney's fees or court dates. By contrast, all of these challenges are minimized when parents work together, as they are are encouraged to do by any settlement process that prioritizes self-determination. 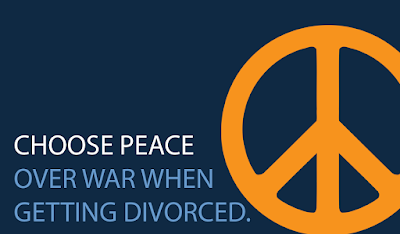 Mediation and Collaborative Divorce help parties deal with the unexpected on their own by setting communication as the first choice, before fighting. Even for parents who were not able to settle their case in mediation, if they tried mediation first then they set a precedent that they would try to work it out themselves before going to court. One study, which we've written about before, showed the dramatic results that just trying mediation had on parental relationships with their children. Going to court to resolve parenting disputes can be appropriate when one parent or the children need protection, but in cases where parents are simply unable to agree going to court, sets a precedent that all disputes should be handled by attorneys. That's not only expensive, it takes away control from the parents to determine themselves what is best for their children. There is even a contrast between the practical issues of scheduling when choosing court over mediation: during today's storm (2/2/2015) the trial court decided to stay open despite all local school systems closing. Mediation let's you choose your own schedule and timing, but if you choose litigation your schedule is now controlled by a bureaucracy which is always a frustrating experience. If you want to learn more about the advantages of mediation, contact one of the mediators at our firm. We can't make it stop snowing, but maybe we can help make your next snow day a little less stressful. Excellent! Public transportation is not guaranteed either, as we've seen in this circumstance. Mediation looks great!